Arafura Resources has signed a memorandum of understanding that would see a quarter of its neodymium-praseodymium oxide output go to a major Chinese magnet manufacturer. 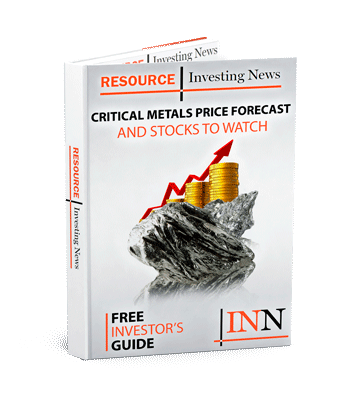 Australian rare earths company Arafura Resources (ASX:ARU) has signed a memorandum of understanding (MOU) with Chinese magnet producer JingCi Material Science that would see a quarter of the company’s projected neodymium-praseodymium output spoken for. In Arafura’s Monday (October 15) release, it says that the agreement would see 900 tonnes of neodymium-praseodymium oxide provided to the Chinese company annually from the Nolans rare earths project in the Northern Territory. While the agreement is non-binding, Arafura said that it provides a framework for negotiating a final offtake agreement and opens the door to financing agreements. The Nolans project has an envisaged annual output of 3,600 tonnes of neodymium-praseodymium oxide — a rare earth component vital in the manufacturing of magnets and magnet alloys. According to Arafura, JingCi’s customers are primarily outside of China, and include automotive, wind energy, consumer electronics and industrial motor companies. The company is currently negotiating other offtake agreements for the remainder of the neodymium-praseodymium oxide from Nolans, as well as its other rare earths products and phosphoric acid. The company has been progressing rapidly through 2018 with its rare earths project, which received its final environmental approvals from the Australian government in May. The AU$900-million project was given the green light with a few caveats around environmental protection, with the government making mention of environmental impact, biodiversity, groundwater protection and radiation considerations in the region. Nolans is 135 kilometers north of the Central Australian town of Alice Springs, the only major service center and settlement in the red center of Australia.